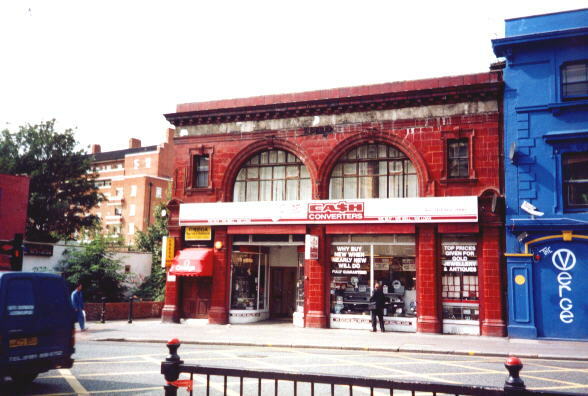 This Northern Line station - between Kentish Town and Camden Town - was open between 22/06/07 and 05/06/24, when it closed during a labour strike and was not reopened afterwards, although it served as a public Air Raid Sheler during the Seocnd World War. 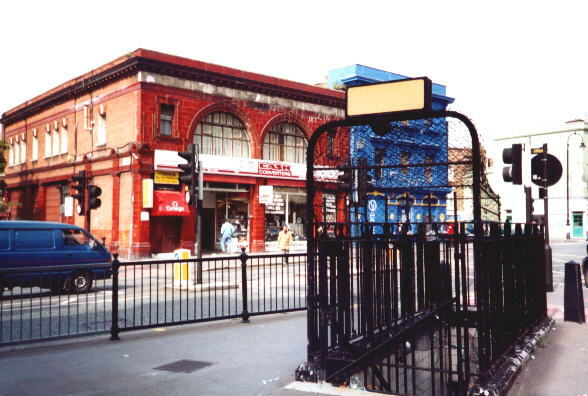 The surface building stands at the corner of Kentish Town Road and Castle Road, and Northern Line passengers can get a fleeting glimpse at the remains of the platform area if they look out the right hand side of the train between the two open stations. 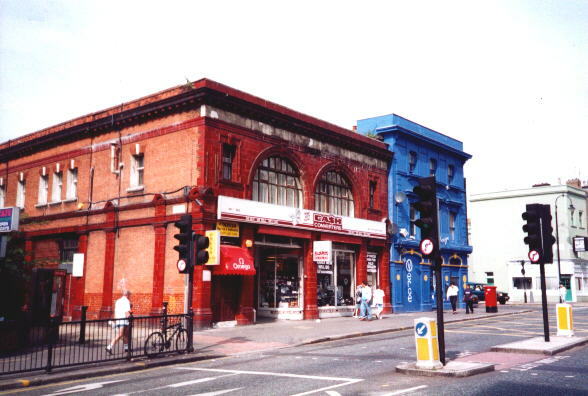 These pictures were taken in September 2000, at which time the ground floor of the station was in use as a Cash Converters, with the upper floor occupied by a massage parlour.